Martin Tierney is a Founding Partner and President & CEO of Inventek Systems. As Founder of Inventek Systems, we have become a market leader in Wireless and Internet of Things (IoT) Connectivity solutions focused on Cloud Software, Hardware and Embedded Software solutions for Wi-Fi, ZigBee, GPS and Bluetooth. Mr. Tierney earned his Bachelor’s degree in Electrical Engineering in 1988 from Northeastern University and his Master’s Degree in Engineering Management in 1992 from the Northeastern University of Boston, Massachusetts. Prior to starting Inventek in 2007, Mr. Tierney was a founding team member of Innovatech Associates, a Semiconductor Sales Representative servicing the New England, NY and NJ markets. Mr. Tierney was also the Northeast Regional Sales Manager for IBM Microelectronics responsible for the Northeast US and Canada semiconductor sales and technical support for IBM merchant market products. Mr. Tierney is on the Advisory Council for Innovatech Associates and is a Board Member of Inventek Systems. 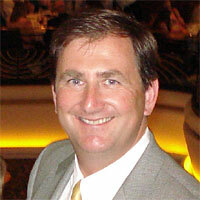 Al Serpa is a Founding partner, and Chief Marketing Officer of Inventek Systems. Mr. Serpa earned his Bachelor’s degree in Electrical Engineering in 1988 from Northeastern University, in Boston, Massachusetts. In 1993, Mr. Serpa earned a Masters of Management Science in Manufacturing Engineering from the University of Massachusetts, Lowell, MA. In 1997, Mr. Serpa earned a Masters In Business Administration from Bentley College in Waltham, Massachusetts. 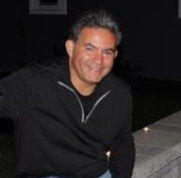 In addition to starting Inventek in 2006, Mr. Serpa is also a founding team member and President of Innovatech Associates, a Semiconductor Sales Representative organization incorporated in 1998 and servicing the New England market. Mr. Serpa also represented various semiconductor companies such as Xilinx and LSI Logic from 1994-1998. Mr Serpa also held various Program Manager and Design positions with Raytheon from 1988-1994. Mr. Serpa has served on the Sales & Operations Advisory Board for Cypress Semiconductor, and played a key consulting role in the acquisitions of Hot Rail, E2O, Triscend and several additional M&A strategies involving Innovatech Associates’ Principals. Inventek Strategic Business Development & Supplier collaboration initiatives. Mr. Serpa is also a Board Member of Inventek Systems.